THE SCHEDULED TRIBES AND OTHER TRADITIONAL FOREST DWELLERS (RECOGNITION OF FOREST RIGHTS) ACT, 2006 - Dilli Chalo! Who is protected by the Forest Rights Act?The Forest Rights Act protects people who have lived in forests or have been dependent on them for their livelihood. These include Scheduled Tribes and other traditional forest dwellers, who have lived in forested areas for three generations prior to December 13, 2005. 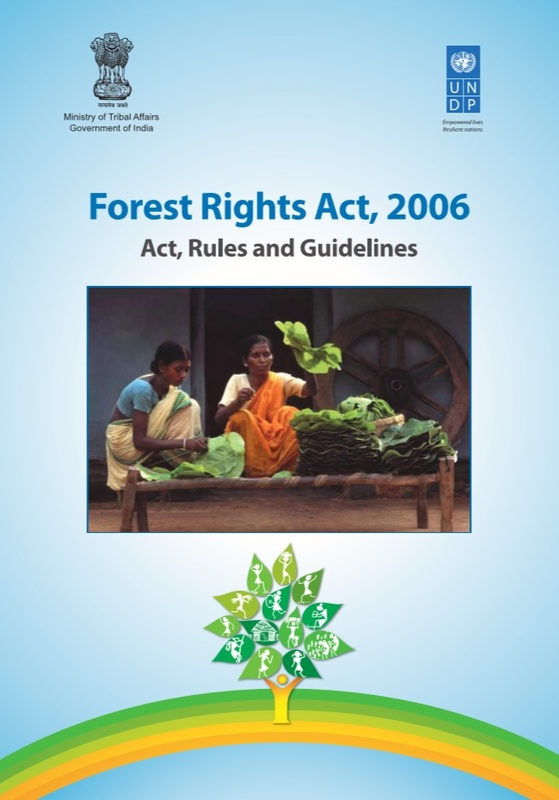 What rights does the Act provide for?Community rights include rights over fish in water bodies, grazing lands or disputed lands; the right to convert pattas into titles and to protect or conserve forest resources; and the right to be rehabilitated if forest dwellers have been displaced prior to December 13, 2005. However, activities such as hunting and trapping are prohibited. What is disallowed by the Act?Those forced to move out of their dwellings, or leave cultivated lands because of state development projects, have the right to compensation. If the land from which they were evicted is not put to its intended use, they have the right to acquire it within five years.People living in national parks or sanctuaries cannot be displaced to protect these habitats if a resettlement package that secures their livelihood has not been communicated to them. What documents must he/she present to access these rights?According to the Rules of the Act, a person must provide at least two of the following to support his/her claim for forest rights: public documents; government records; government-authorised documents; judicial records; genealogy tracing; research studies; physical attributes such as a house; documentation of traditions that show the availing of forest rights; documents by reputed institutions like the Anthropological Survey of India; structures that establish prolonged habitation in the forest, such as wells, burial grounds or sacred places. What does the Act consider as offences?As per Section 7, any officer, authority or committee found guilty of not following the Act’s provisions will be punished with a fine of up to Rs. 1,000. Factoids and Focus by Ashvita Singh.